In its 2019 capital budget announcement, Husky said its expected contribution to the cuts in January is “considerably higher” than the 8.7 per cent industry-wide target announced by Premier Rachel Notley earlier this month. It also says the province is not properly considering in its calculations rising production at two of Husky’s steam-driven northern Alberta oilsands projects. “Husky continues to attain global pricing for the vast majority of our production. Our low-cost integrated model in North America and high-margin offshore business shield us from the commodity discounts realized by many of our peers,” said CEO Rob Peabody in a news release. The oil price differential reached a high of US$52 a barrel in October, but the government’s announcement has caused it to fall to around $11. In roughly two months, more than $449,000 was spent at the roughly 30 participating businesses. This is more than triple last year’s total of $117,000. Executive Director of the Chamber Alexis Foster tells Mix News it’s great to see residents support their local businesses. The Chamber expects next year to be even bigger, with numbers possibly hitting $1 million. Work camps and commuter workers will be a top priority for Mayor Don Scott in 2019. 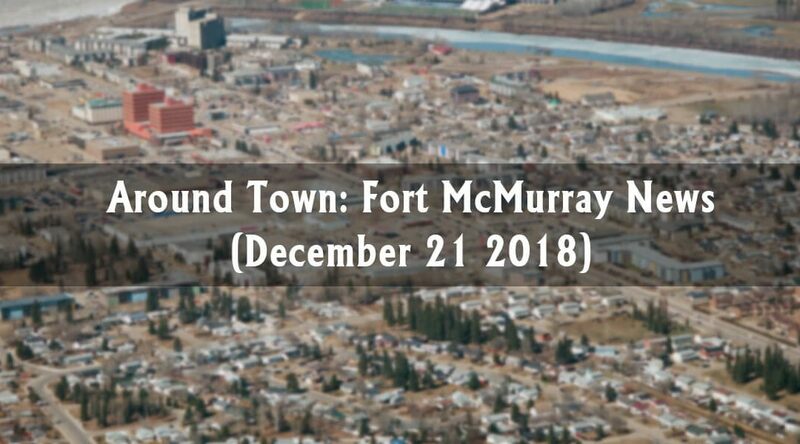 At council’s final meeting of the year earlier this month, Scott motioned that the municipality stop any new work camps within 120 kilometres of Fort McMurray. Currently, 30 per cent of the region’s population live on the 109 work camps in Wood Buffalo. Scott said he made the motion because the municipality has seen no progress on the issue in discussions with industry stakeholders. Pipelines and downtown revitalization will also be addressed: the two issues have long been a concern for many in the region.